Spoiler Alert: Please note that both the audio guide above and the printed one below contain spoilers to the book. 1. 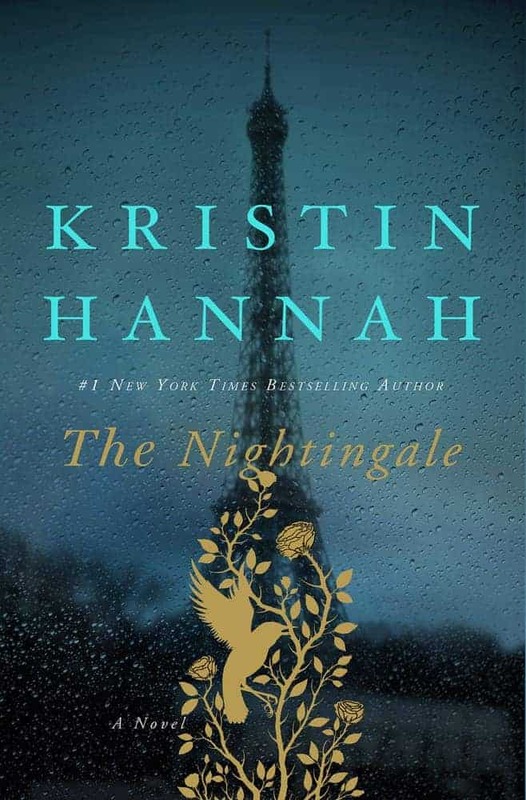 The Nightingale opens with an intriguing statement that lays out one of the major themes of the book: “If I have learned anything in this long life of mine, it is this: In love we find out who we want to be; in war we find out who we are.” What do you think the narrator means by this? Is love the ideal and war the reality? How does war change the way these characters love? How does love influence their actions in the war? On a personal level, has love affected your life choices? Have those choices affected who and how you love? 2. Take a moment to talk about the narrative structure of The Nightingale. 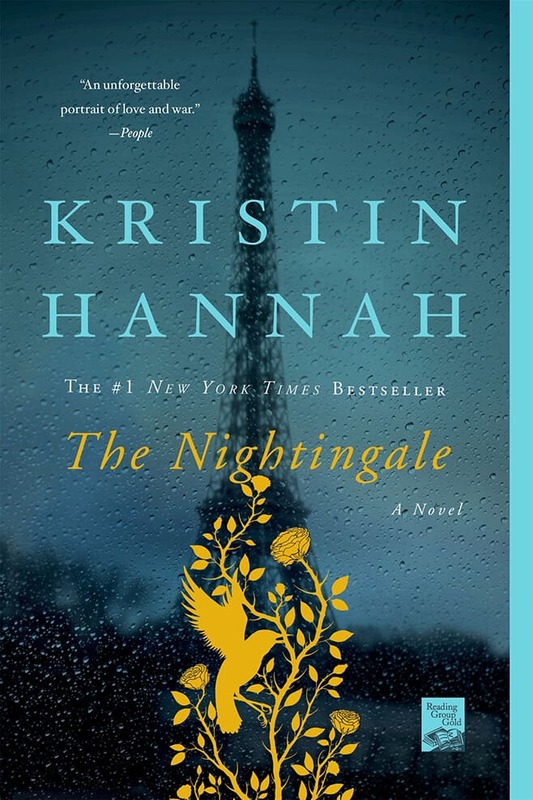 Why do you think Kristin Hannah chose to keep the narrator’s identity a secret in the beginning and end of the novel? Were you surprised by who it turned out to be? Did you go back and reread the beginning of the novel once you finished? Were you satisfied when you discovered who was narrating the novel? 3. Many characters chose to construct a secret identity in The Nightingale. How did pretending to be someone else determine each character’s fate, for better or worse? And what about those who had no choice, like Ari and Julien? 4. The sisters Isabelle and Vianne respond to the war in very different ways. Isabelle reacts with anger and defiance, risking her life to join the resistance against Nazi occupation. Vianne proceeds with caution and fear, avoiding conflicts for the sake of her children. Who do you admire—or relate to, or sympathize with—more, Vianne or Isabelle? Discuss your reasons. You may choose to share your own stories and experiences as well. 5. The book captures many of the era’s attitudes about men and women. Isabelle, for example, is told that women do not go to war. Vianne is confused by her new wartime role as provider. Their father, Julien, is cold and distant, unwilling to fulfill his parental duties after his wife dies. Have gender roles changed much since World War II? Have women always been strong in the face of adversity, but not recognized for their efforts? Vianne says that “men tell stories…women get on with it.” Do you agree with her? 6. Isabelle’s niece Sophie admires her aunt’s courage: “Tante Isabelle says it’s better to be bold than meek. She says if you jump off a cliff at least you’ll fly before you fall.” Do you agree? Is it better to take a risk and fail than never try at all? Do you think you could have acted as heroically as Isabelle under such horrifying circumstances? Who is more heroic in your mind—Isabelle or Vianne? 7. Perhaps one of the most chilling moments in the book is when Vianne provides Captain Beck with a list: Jews. Communists. Homosexuals. Freemasons. Jehovah’s Witnesses. We know now how wrong it was to provide this list, but can you understand why Vianne did it? What do you think you would have done? 8. Each of the sisters experiences love in a different way. Vianne’s love is that of a mature woman, a wife and a mother devoted to her family; Isabelle’s love is youthful and impulsive, more of a girlish dream than a reality. How did Isabelle’s feelings of abandonment shape her personality and her life? How did Vianne’s maternal love lead to acts of heroism, saving the lives of Jewish children? How did love—and war—bring these two sisters closer together? 9. Take a moment to talk about Beck. Is he a sympathetic character? Did you believe he was a good man, or was he just trying to seduce Vianne. Did he deserve his fate? 10. When Isabelle works with Anouk and other women of the French resistance, she notices “the wordless bond of women.” What does she mean? Do you agree that women who come from different backgrounds but share a common path can create a silent bond with other women? Why do you think this is so? 11. Vianne recalls her husband Antoine telling her that “we choose to see miracles.” What does he mean by this? Is it his way of telling his wife he knows the truth about their son’s biological father? Or is it his way of looking at life, of coping with the terrible events they’ve lived through? Is seeing the beauty in the world an active choice? Is it possible to find miracles in our lives, if we look for them? 12. Discuss the scene in which Ari is taken away. What do you believe is the right answer in this situation—if there is one? What would you have done in Vianne’s position? 13. Do you think Julien had a right to know who his real father was? Would you have made the same decision Vianne did? 14. Finally, a show of hands: Who cried—or at least got a little choked up—while reading this book? Which scenes moved you the most? Which character’s fate would you say was the most tragic? The most poignant? The most harrowing? Did the book give you a better understanding of life under Nazi occupation during World War II? Did it move you, inspire you, haunt you? And finally, what will you remember most about The Nightingale? COPYRIGHT © 2019 KRISTIN HANNAH. ALL RIGHTS RESERVED. WEBSITE BY AUTHORS ON THE WEB.